Laura Heyne is an associate in Los Angeles office of Ogletree Deakins. As a seasoned employment lawyer, Ms. Heyne handles complex litigation matters and provides advice and counsel on behalf of employers and management. Ms. Heyne has defended numerous actions (both single plaintiff and representative matters) and routinely counsels employers on preventative steps and strategy including hiring and termination, as well as issues involving discrimination and retaliation, misclassification, overtime, and meal/rest breaks, among others. Ms. Heyne earned her J.D. from the University of San Diego School of Law, where she was the recipient of the University Scholarship and Associate Editor of the Climate and Energy Law Review. She also served as Event Chair of the USD Student Bar Association. She earned her B.A., in Political Science with an emphasis in International Relations, from the University of California, Santa Barbara. 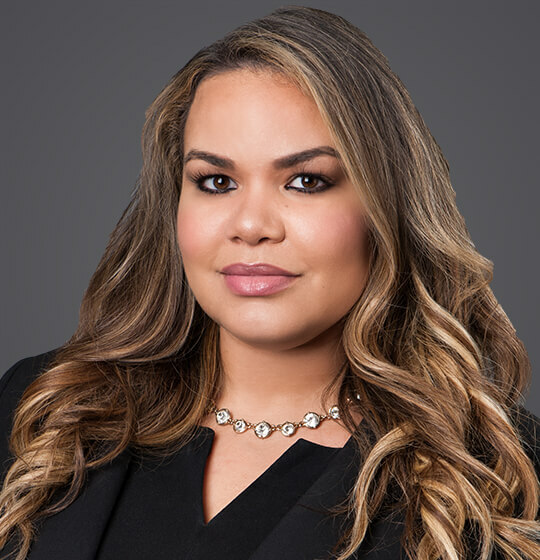 Ms. Heyne was named to the list of Southern California Rising Stars by Super Lawyers Magazine from 2014 – 2018. Ms. Heyne has successfully litigated actions involving harassment, discrimination, retaliation, wage and hour, misclassification, executive compensation and related business employment issues. She has defended both single plaintiff and representative matters (class actions and PAGA claims), and is highly sought after for guidance regarding the intricacies of the Fair Employment and Housing Act (FEHA), Equal Employment Opportunity Commission (EEOC), Americans with Disabilities Act (ADA), Worker Adjustment and Retraining Notification Act (WARN), and the Age Discrimination in Employment Act (ADEA), among others. Ms. Heyne also has vast experience in the administrative setting, successfully negotiating with the Department of Labor (DOL), Department of Labor Standards Enforcement (DLSE), and Department of Fair Employment and Housing (DFEH). August 28, 2014 - Bloomberg BNA - "Distressed Medical Facilities: A Guide to Section 363 Transactions"
2010 - California Regulatory Law Reporter, Volume 22 - "Public Utilities Commission Report"
2010 - San Diego Journal of Contemporary Legal Issues, Volume 19 - "Developments in Trademark Law"